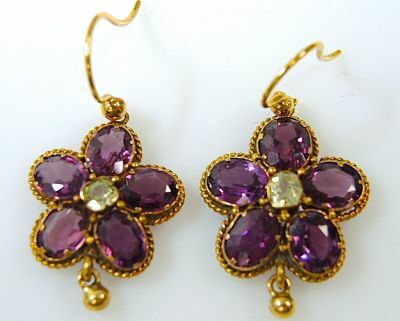 One pair of 14 karat yellow gold floral drop earrings. Ten tourmalines (5.41 carats). Two cushion cut quartz (0.25 carats).